Despite the dismaying start in the first quarter, more than 300 million PCs are still expected to be sold worldwide this year. Tablet computers, a category that was insignificant until the iPad came along, is catching up rapidly: Nearly 200 million of those deices could be sold this year. Meanwhile, worldwide smartphone sales could surpass 1 billion units this year, Gillis predicted. Public Safety WarningRobert Bell The London Police Service is issuing the following warning in regard to the release of a Federal Reformatory inmate. Robert Albert Bell, 57, has been released from custody after serving a federal prison term, for Invitation to sexual touching (2 charges). Information contained in his file dictates this man represents an overall high risk to re-offend in a sexual manner. Mr. Bell has perpetrated numerous sexual offences over the period of twenty years and the frequency and persistence of his attempts to procure sexual acts from young females and males has escalated. Mr. Bell is now in London. His past includes convictions including indecent assault on a young female (four convictions), sexual assault (four convictions), sexual assault with a female under 14, and invitation to sexual touching, and fail to comply with a Probation Officer. Mr. Bell’s history has shown that he befriended parents with young children and subsequently sexually assaulted the children when the opportunity arose. 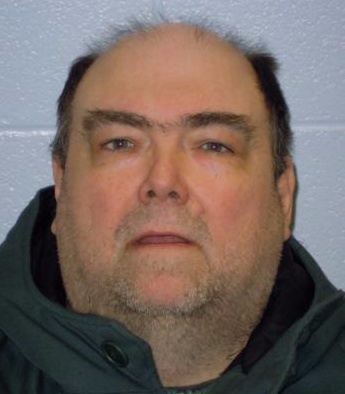 Robert Bell is described as a Caucasian, 5’11", 361 lbs, hazel eyes, and brown/grey thinning hair, and is now in a wheelchair. Further information about this man’s criminal record is confidential. In the vast majority of cases, no information about a former inmate’s history is ever released. However, the London Police Service has issued this warning believing the immediate safety of the general public outweighs the need to maintain the usual anonymity afforded persons released from the institutions following completion of their sentences. The exemption for release of this information is contained in the Municipal Freedom of Information and Protection of Privacy Act and the Community Safety Act.